They are suitable for all types of premises – offices, hotels, banks, shops, service centers, swimming pools, sports halls, fitness halls, massage and cosmetic studios, sport changing rooms and dressing rooms in fashion shops, cabinets, hospitals, laboratories, Administrative buildings, kindergartens, schools, children’s center, halls for various organized courses and delays, casinos, gas stations, restaurants and cafes, special events and homes. Suitable for all premises in administrative, industrial and commercial buildings. Specially designed for removing water from the soles, for placing in front of machines and appliances that can leak water, in the kitchens in front of the sinks, at the entrance of the toilets in the pubs and large commercial areas and other premises with external outlet where dirt is applied, Slush and water. 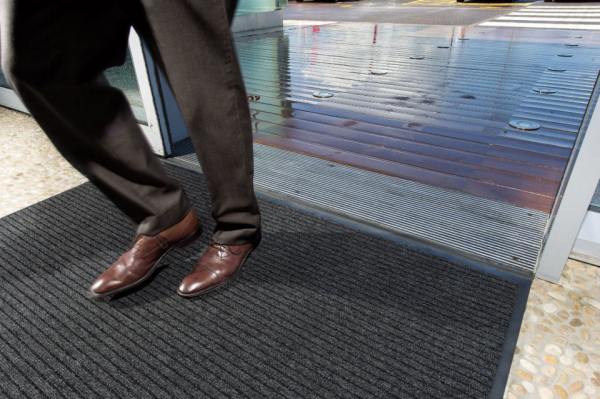 These mats are special and the absorption of water and mud is about 80% higher than those sold in carpet shops, making them suitable for industrial use – that is, a larger human flow for passing and parallel, the need for higher absorption. It is very important for the client to know that the larger the mat is (i.e. wider or longer), the more steps it will take over the client and from there, the cleaner it will be inside the room, after the dirt has absorbed into the mat. Colors of the mat – available in 3 standard colors. Material – 100% made of polyamide fibers, well-knit, non-developed smell when or used in warm rooms. Fiber height – approximately 10 mm. Height of the mat – approximately 1.5 mm. Overall height of the mat – approximately 11 mm. Absorption of water, moisture, dust, slush – take up to 4 kg. per square meter of dust and moisture, which is retained between the fibers from the bottom up. You can choose other colors of mats: red, green, blue, granite and more. Customized delivery times up to 45 days.